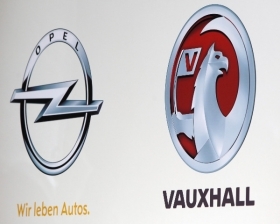 PARIS (Reuters) -- Opel/Vauxhall unit expects to sell 200,000 fewer vehicles this year, ahead of an even tougher market in 2013, Opel sales chief Alfred Rieck said. "We will surpass the 1 million mark in vehicle sales this year," Rieck said on the sidelines of the Paris auto show on Thursday. Last year, the General Motors unit sold 1.21 million cars and light commercial vehicles, according to data from the automaker. Like other carmakers, Opel sees the outlook darkening in the future as consumers in Europe avoid showrooms in the face of stuttering economies and government austerity programs. "I am not being a pessimist when I say that we are not expecting any tailwinds from the market next year," Rieck said. Rieck said he could not say what Opel's market share would be because he could not predict competitors' pricing action. Last year, the automaker said it had a market share of 6.1 percent in Europe. "I can tell you though that we will not be chasing the market by buying sales through the increased use of incentives," he said. "I want to focus on the long term value for the customer, so they don't pay twice for the car through low residual values and resale prices that are the direct result from buying market share," he added.